Arranged marriages have been part of the Indian culture since the fourth century. Many consider the practice a central fabric of Indian society, reinforcing the social, economic, geographic, and the historic significance of India (Stein). 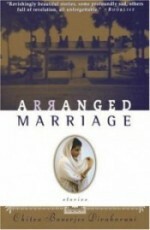 Prakasa states that arranged marriages serve six functions in the Indian community: (1) helps maintain the social satisfaction system in the society; (2) gives parents control, over family members; (3) enhances the chances to preserve and continue the ancestral lineage; (4) provides an opportunity to strengthen the kinship group; (5) allows the consolidation and extension of family property; (6) enables the elders to preserve the principle of endogamy (Prakasa 17) (see Gender and Nation). The practice of arranged marriages began as a way of uniting and maintaining upper caste families. Eventually, the system spread to the lower caste where it was used for the same purpose (see Caste System in India). The specifics of arranged marriages vary, depending on if one is Hindu or Muslim. “Marriage is treated as an alliance between two families rather than a union between two individuals” (Prakasa 15). The Child Marriage Restraint Act of 1929-1978 states that the legal age for marriage is 18 for females, and 21 for males,with most females being married by 24 and most males being married by their late twenties (McDonald). However, many children, age 15 and 16 are married within a cultural context, with these marriages being neither void or voidable under Hindu or Muslim religious law, as long as the marriage is not consummated until the legal age of 18 for females and 21 for males. In the Muslim faith, it is the responsibility of the parents to provide for the education and the marriage of their children. The parent’s duties are not considered complete unless their daughter is happily married (Ahmad 53). Marriage is a sunna, an obligation from the parent to the child that must be fulfilled because the female is viewed as a par gaheri, a person made for someone else’s house (53). In this custom, it is the responsibility of the groom’s parents to make the initial move toward marriage: seeking eligible females and insuring their son is marketable. Once a female has been selected, the father of the male sends a letter to the perspective bride’s father, through a maulvi, a liaison between the families, asking the father if his daughter can marry his son. If the female’s father accepts by letter, then a formal ceremony is held at the female’s house, where the father of the groom asks the girl’s father if his daughter can marry. A feast and perhaps the giving of gifts, depending on the region of the exchange, follow the “asking” ceremony. During the feast, the respective parents set a time to solemnize the marriage, “usually during the summer season (garmiyan) because it allows more time for people to attend” (98). The date of the actual marriage ceremony depends on the age of the individuals, which ranges from four years to eight years after the “asking” ceremony (97). Most Muslim arranged marriages are solemnized four years after the “asking” ceremony. The ceremony itself consists of a sub ceremony: the maledera, where female members of the male’s family wash and dress the male in traditional clothing, and the female dera, where the female is washed, given henna, and given ceremonial jewelry (98). The actual marriage ceremony (nikah) consists of both individuals being asked if they are in agreement for marriage. Once a yes is acknowledged, the Koran is read, and the father determines a dowry, with 40% being paid at the nikah and an agreement that the rest will be paid at a later date. The paying of a dowry is culturally optional, but legally unlawful. Once the dowry has been agreed on, a marriage contract is drawn up and the female goes to live with the husband’s family. If the daughter remains unmarried, she is considered a spinster, who brings shame upon her family, and she is considered a burden. A woman also suffers this fate if she is separated or single past 24 years old (Stein). For more information, see Divorce in India. Marriage is a sacramental union in the Hindu faith. “One is incomplete and considered unholy if they do not marry” (Parakasa 14). Because of these beliefs, many families begin marriage preparation well in advance of the date of marriage, with the help of “kinsmen, friends, and ‘go-betweens’” (14). Most females are married before puberty, with almost all girls being married before 16, while most boys are married before the age of 22 (Gupta 146). However, couples normally do not consummate the marriage until three years after the marriage ceremony (146). The legal age for marriages is 18 for females and 21 for males (McDonald). The male’s family is responsible for seeking the female. The male’s family is responsible for arranging the marriage. Like Muslim arranged marriages, the Hindu culture uses a matchmaker to help find possible matches. Once a match is found and arrangements met, the two families meet to discuss dowry, time, and location of the wedding, the birth stars of the boy and girl, and education (McDonald). During this time, the males of the family huddle in the center of the room, while the perspective couple sits at the periphery of the room and exchange glances. If the two families agree, they shake hands and set a date for the wedding (McDonald). Most Hindu pre-wedding ceremonies take place on acuta, the most spiritual day for marriages. The ceremony often takes place early in the morning, with the male leading the female around a fire (punit) seven times. After the ceremony, the bride is taken back to her home until she is summoned to her husband’s family house. Upon her arrival, her husband’s mother is put in charge of her, where she is to learn the inner workings of the house. During this time she is not allowed to interact with the males of the house, because she is considered pure until the marriage is consummated. This period of marriage can range from three to six years (McDonald). The traditional arranged marriage matchmaker is called a nayan (Prakasa 21). The matchmaker is normally a family friend or distant relative who serves as a neutral go-between when families are trying to arrange a marriage. Some families with marriageable age children may prefer not to approach possible matches with a marriage proposal because communication between families could break down, and could result in accidental disrespect between the two families (Ahmad 68). Matchmakers can serve two functions: marriage scouts, who set out to find possible matches, and as negotiators, people who negotiate between families. As a scout and negotiator, a family sends the nayan into the community to seek possible matches. The matchmaker considers “family background, economic position, general character, family reputation, the value of the dowry, the effect of alliance on the property, and other family matters” (Prakasa 15). Once a match is found, the matchmaker notifies his or her clients and arranges communication through him or her. Communication is facilitated through the nayan until some type of agreement is met. Depending on the region, an actual meeting between the families takes place, to finalize the marriage agreement, while also allowing the couple to see each other (22). Once a marriage agreement is met, the nayan may be asked to assist in the marriage preparations: jewelry and clothing buying, ceremonial set-up, and notification of the marriage to the community (Ahmad 68). The nayan usually receives no pay for his or her services, but may receive gifts: clothing, food, and assistance in farming from both families for the services they provide (69). Newspapers, the Internet, television ads, and social conventions serve as the modern nayan (Prakasa 22). Indian families in metropolitan cities use the mass media as go-between as a way of bridging cultural gaps, in areas where there may be a small Indian population. Dowries originally started as “love” gifts after the marriages of upper caste individuals, but during the medieval period the demands for dowries became a precursor for marriage (Prakasa 61). The demand for dowries spread to the lower caste, and became a prestige issue, with the system becoming rigid and expensive. The dowry system became a tool for “enhancing family social status and economic worth” (61). Prakasa notes five purposes of the dowry: (1) provides an occasion for people to boost their self esteem through feasts and displays of material objects; (2) makes alliances with the families of similar status; (3) helps prevent the breakup of family property; (4) gets a better match for daughters; (5) furnishes daughters with some kind of social and economic security (61-62). The expensive nature of dowries has helped raise the marriage age in the middle and lower caste because families have not been able to meet dowry demands, and has also forced some families “to transcend their caste groups and find bridegrooms from other sub caste and different caste” (62). There are some disadvantages to dowries. Families may suffer financial hardships due to the expensive nature of dowries. They may not be able to afford dowries, therefore prohibiting their children from marriage, causing “girls to occasionally commit suicide in order to rid their fathers of financial burdens” (62). Because of social instances like these, many consider “the dowry system as a social evil and an intolerable burden to many brides’ families”(62). As a result, the Dowry Prohibition Act of 1961 was passed. It decrees, “to give, take, or demand a dowry is an offense punishable by imprisonment and fines” (77). A dowry is also defined as “any property or valuable security given or agreed to be given either directly or indirectly by one party to a marriage to the other party to the marriage, or by the parents of either party to a marriage or by any other person, to either party to the marriage or to any other person at or before or after the marriage as consideration for the marriage of the said parties” (Diwan 77). The law does make the following exclusion: “any presents made at the time of marriage to either party to the marriage in the form of cash, ornament, clothes or other articles, do not count as a dowry” (77). These items are considered wedding gifts. The law does create the following loop hole; “the giving or taking of dowry does not affect the validity of the marriage… if the dowry is given, the bride is entitled to it, but the person giving it is punished by law if discovered” (77). Harlan, Lindsey, ed. From the Margins of Hindu Marriage: Essays on Gender, Religion, and culture. New York: Oxford University Press,1995. Kannan, Chirayil. Intercaste and inter-community marriages in India. Bombay: Allied Publishers, 1963. Manning, Henry Edward. Indian Child Marriages. London: New Review, 1890. Uberoi, Patricia, ed. Family, Kinship, and Marriage in India. New York: Oxford University Press, 1993. Ahmad, Imtiaz, ed. Family, Kinship and Marriage Among Muslimsin India. Manohar: Jawaharlal Nehru University Press, 1976. Diwan, Paras. Family Law: Law of Marriage and Divorce in India. New Delhi: Sterling Publishers Private Limited, 1983. Goswami, B, J. Sarkar, and D. Danda, eds. Marriage in India: Tribes, Muslims, and Anglo-India. Calcutta: Shri Sovan Lal Kumar,1988. Gupta, Giri Raj, ed. Family and Social Change in Modern India. Durham: Carolina Academic Press, 1971. Prakasa, Rao. Marriage, The Family and Women in India. Printox: South Asia Books,1982. Ramu, G. Family and Caste in Urban India: A Case Study. New Delhi: Vikas Publishing House PVT LTD, 1977. Reddy, Narayan. Marriages in India. Gurgaon: The Academic Press, 1978. Saheri’s Choice. Dir. Hamis McDonald. Videocorp LTD, 1998. Sastri, A. Mahadeva. The Vedic Law of Marriage or The Emancipation of Woman. New Delhi: Asian Educational Services, 1918. Stein, Dorothy. “Burning Widows, Burning Brides: The Perils of Daughterhood in India.” Pacific Affairs 61 (1988): 465-485.
very well elaborated article, very useful. thanks for sharing. This was so helpful. It was detailed and easy to understand. Thanks for the great information. Beautifully written. I also wrote about how deep-rooted marriages are in Indian culture and how we are forced to marry at a particular age to someone in our cast and sub caste. I narrate my struggle with the orthodox system to stay unmarried even though I am 30 years old now. Despite arranged marriages being encouraged at the legal age of 18, many girls are married as teenagers; why?